Nike CEO Mark Parker has written an argument in opposition to Ballot Measure 105 in the Oregon Voters' Guide. 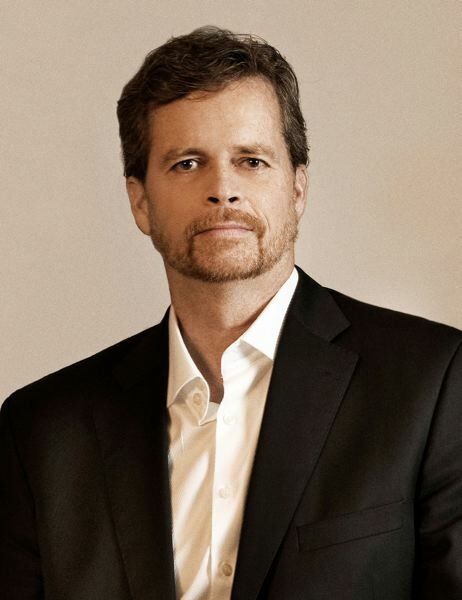 Just as Nike made Colin Kaepernick the face of its "Just Do It" 30th anniversary campaign, Nike Chief Executive Officer Mark Parker has taken a public stance to save Oregon's 30-year-old sanctuary law. In the Oregon Voters' Guide, released Tuesday, Parker wrote an argument in opposition to Ballot Measure 105, which seeks to repeal the state law that prohibits the use of state and local resources to enforce federal immigration law. "Nike employs people from all over the world; we can attest to the unique value, contributions and innovations that people from diverse backgrounds add to Nike and to Oregon's culture and economy," Parker wrote. "Ending Oregon's sanctuary law will damage Oregon's longstanding track record as a place that attracts diverse talent from across the globe." Social activism against racial profiling and injustice is a common theme between the Kaepernick ad and the campaign opposing Measure 105. Kaepernick, a former quarterback with the San Francisco 49ers, declined to stand during the national anthem to protest police shootings of African-Americans. The motto of the Nike ad, released earlier this month, is "Believe in something even if it means sacrificing everything." Similarly, state legislators passed the sanctuary law in 1987 in response to a spate of racial profiling of immigrants by police in the preceding decade. In one high-profile case in 1977, Delmiro Trevino, a U.S. citizen of Mexican descent, was arrested in a restaurant in Independence because police suspected that he was undocumented. He later filed a class action suit. His lawyer, Rocky Barilla, won election as a state representative in 1986, marking the first time a Latino was elected to that position in the state's history. He introduced the legislation that enacted the sanctuary law, which passed with bipartisan support. Parker's statement was one of a trio of high-profile Oregon corporate leaders who wrote against Measure 105 in the voters' guide. Others were Tim Boyle, chief executive officer of Columbia Sportswear Co., and Amy Prosenjak, president of A to Z Wineworks. More than 400 companies have endorsed the opposition campaign against Measure 105, said Andrea Williams, executive director of Causa, a statewide immigrant rights organization. "What we are seeing is prominent companies are standing up for justice issues," Williams said. "I know Nike, for example, has been a longtime supporter of nondiscrimination causes, including marriage equality. Its opposition of Measure 105 is in line with its overall values as a company and also is aligned with where they are based, in Oregon, so I think Oregonians will appreciate that a homegrown company is in support of our values of fairness and standing up against discrimination." Rick LaMountain of Oregonians for Immigration Reform — a backer of Measure 105 — said Parker's statement misses the point of the ballot measure. "I disagree strongly with that statement," LaMountain said. "We are not targeting everybody from everywhere. We are only wanting immigration law to be enforced by allowing our police and sheriff's deputies to back up federal authorities. We don't have a problem with people from other countries as long as they abide by and respect our sovereign laws." Since its founding, Nike has had only two CEOs. The first CEO, Phil Knight, has contributed $1.5 million to the campaign of state Rep. Knute Buehler, the GOP nominee for Oregon governor. In a July interview with conservative radio host Lars Larson, Buehler endorsed the repeal of the sanctuary law. Earlier this month, however, he told Oregon Public Broadcasting that he opposes both racial profiling and the use of local law enforcement to enforce federal immigration law. Editor's note: A previous version of this story misspelled the name of Andrea Williams' organization. Its name is Causa. The story has been updated.